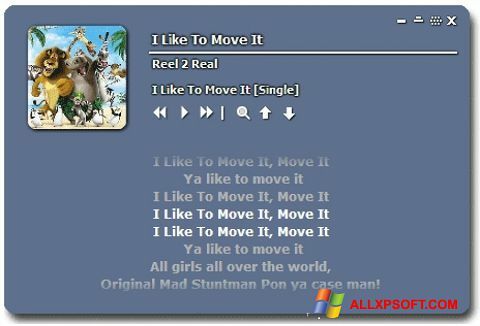 Minilyrics for Windows XP - a program that searches for the text of songs and displays the words directly on the image. Synchronization with any players will allow the user to quickly proceed directly to execution. In the presence of a component that integrates with the context menu, which as a result helps to quickly download lyrics. There are options for displaying words: correction of background transparency, choice of color scheme, font, alignment, display static, two lines, running and subtitles. You can free download Minilyrics official latest version for Windows XP in English.